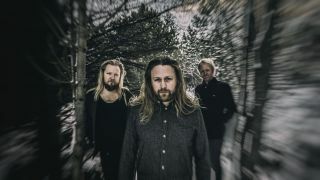 Icelandic folk proggers Árstíðir preimere their latest video for Lover with Prog. You can watch the promo below. The song is taken from the band's Nivalis album, which was released last year through Season Of Mist. “When making an album the simplest songs can often prove to be the most captivating ones in the end, and Lover is one of those little gems that almost got over-looked when we were in the process of making our album Nivalis," the band tell Prog. "At the outset the song was a simple ballad played on a single acoustic guitar in a laid back tempo. Then someone in the band had the idea to speed it up and try a funky beat over it. The next day we started to play around with vintage synthesisers, like the Moog and Juno 106, and suddenly we had the version that you hear in this video. The band are about to head off on a European tour. Full dates can be found at the band's webiste.